005 anchors the “bull producing” section of the WF donor herd. Her excellent EPD’s for Growth, M&G, MCE, Scrotal, Ribeye, BMI index and CHB index sure make her an exciting tool to work with. You just cannot draw a much better udder on a Hereford cow than the one on 005. 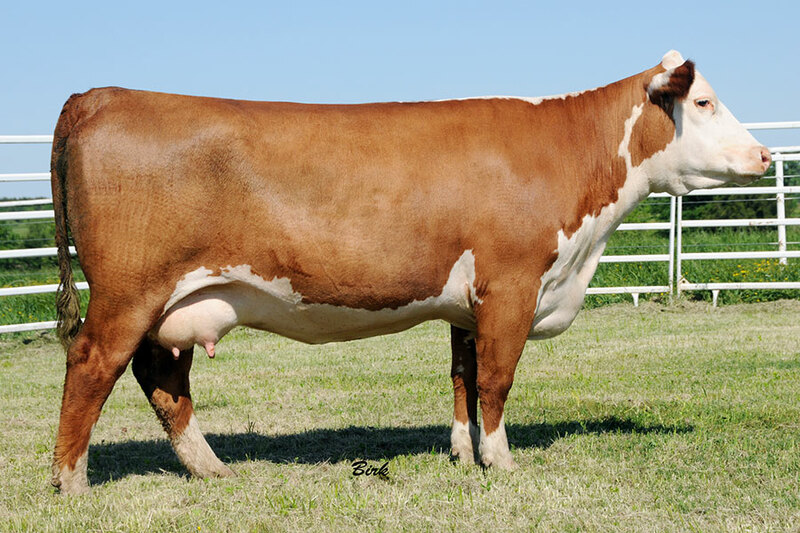 The factors that made her attractive as the mother of herd bulls also made her the mother of exciting embryo calves that started arriving in October 2015. These babies are from Hometown 10Y, Trust 100W, CCR 719 Catapult 109, C Diversified 6121 and Homegrown 8Y. Owned with Hidden Acres Farm, Waverly, TN & Don Jibben Polled Herefords, Ft. Worth, TX.